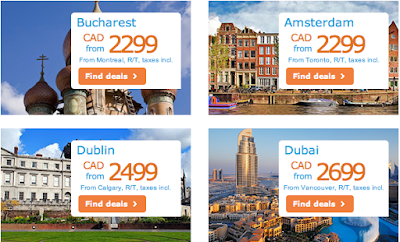 Rewards Canada: Great KLM Business Class Sale for Fall/Winter/Spring flights - Europe from $2,299 all in, Africa from $2,799 and more! 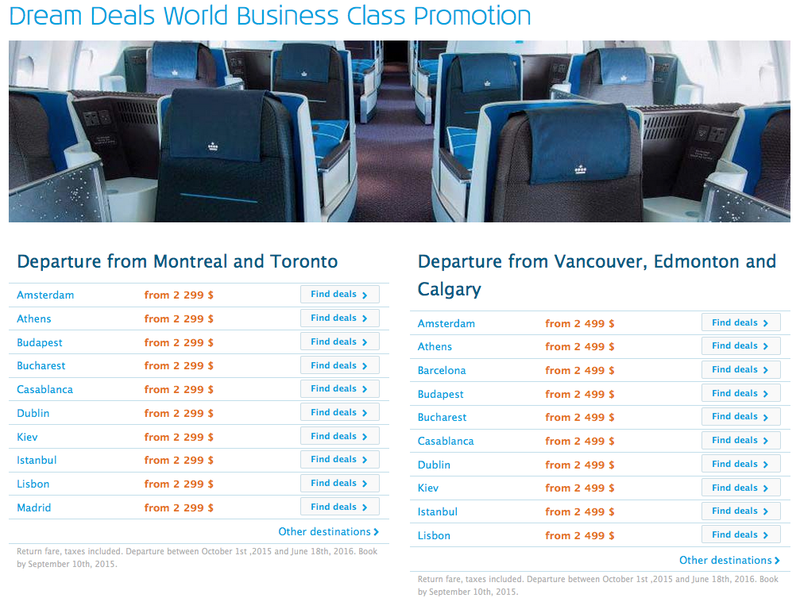 Great KLM Business Class Sale for Fall/Winter/Spring flights - Europe from $2,299 all in, Africa from $2,799 and more! 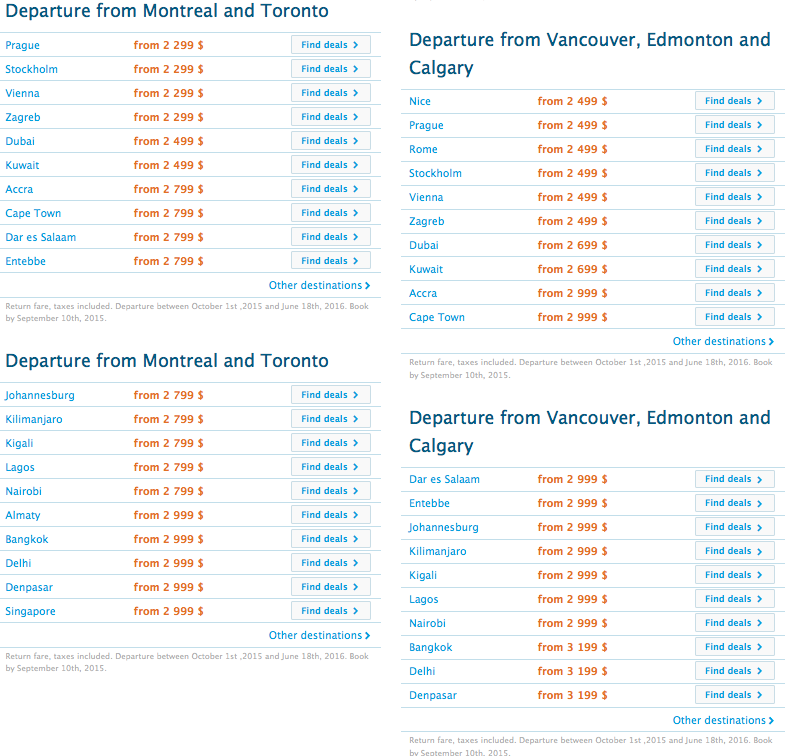 KLM are it again running an amazing business class sale for their flights out of Canada! These are some of the best prices we have seen from them in awhile when compared to the last few Business Class sales they have had! Some steals include Dubai for only $2499 all in from Montreal or Toronto or Johannesburg for $2,999 from Calgary, Edmonton or Vancouver. 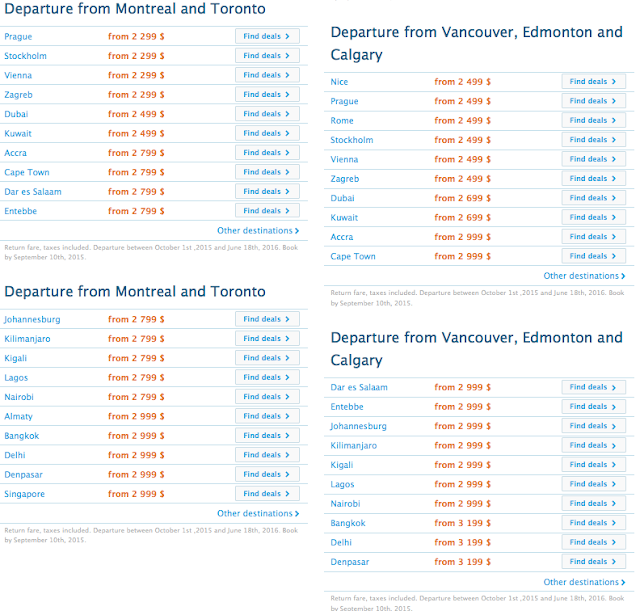 Simply book by September 10th for travel between October 1st and June 18, 2016! For complete details or to book this offer click here.